Hey, guys! Just a quick update, I’ve released a new version of Maker Pro that converts it to a stand-alone theme. Read on to learn the reason behind this update and get instructions on how to upgrade. Some of our customers who bought Maker Pro asked about adjusting the theme to their needs. Some of those adjustments could easily be done through the child theme, but since Maker Pro was a child theme itself it created a little bit of a headache. So from version 0.2.2 Maker Pro is a standalone theme which gives the users full control of theme modifications through child themes. By the way, I’ve created a starter child theme for Maker, that you can download from the theme page and use to customize Maker. The new version also includes many small improvements and bug fixes, so I highly recommend you to install the update as soon as possible. If you are running Maker Pro 0.2.1 with the license key activated you don’t need to do anything special. You’ll see a notification in the dashboard, saying that the new version is available. Just click Update Now and the theme will be updated automatically. If you didn’t activate the license yet, make sure to do so, because the update system relies on the license key being activated. 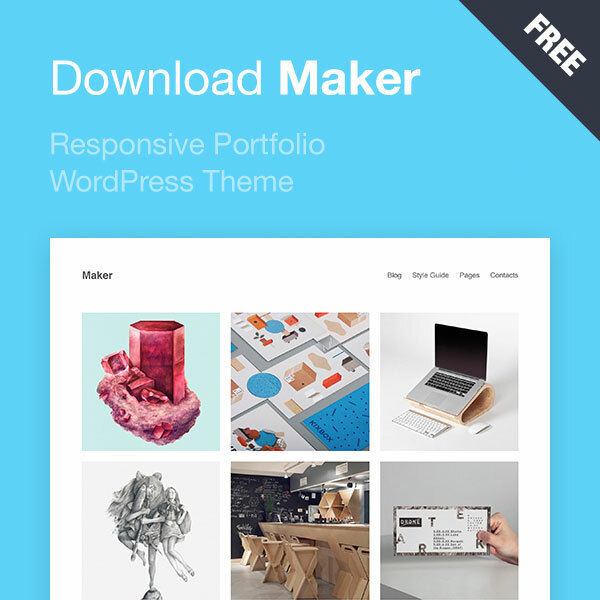 Since Maker Pro is now a standalone theme, this update will remove the free version of Maker theme and Maker Pro child theme and install the updated Maker theme instead. If you are running Maker Pro version prior to 0.2.1 you need to update the theme manually (for the last time). Log in to your account on thempatio.com, download the latest version from the dashboard and install it on your website. Note that now that the Pro version is a stand-alone theme you need to remove the free version of Maker and Maker Pro before uploading the new Maker Pro to your website. You can find the license key in your account on themepatio.com as well under Purchase History → View Licenses. Make sure to activate the license to be able to install future updates automatically. If something goes wrong during the upgrade or if you have any questions regarding the new version of Maker, don’t hesitate to submit a support ticket. I’ll be glad to help you upgrade to the latest version and answer your questions. I need the Wechat icon in Footer Menu, Is that OK? Hey, Steve! Thanks for asking. This icon is not supported yet. But I’ll make sure to include it in the next update. You can subscribe to the newsletter to be the first to know when it’s out. Thanks!